Suture face-lift procedures are carried out to help rejuvenate the look of the face by lifting excess skin, wrinkles and bags particularly under the chin and along the jawline, at the corners of the mouth and the cheeks. Dr Lanzer was featured on National TV demonstrating this procedure on patients. He was also interviewed for Woman’s Day Magazine. With ageing, the skin begins to droop from the facial structures. An option at this point is the “facelift” procedure performed by surgeons. The “facelift” involves the skin being cut and removed from around the ear as well as an undermining of the facial skin and tightening of the underlying muscular and facial tissues. This has a relatively longer recovery, with relatively higher risks. Another less invasive option is the “face skin suture lift”. The “face skin suture lift” was developed by a surgeon in South Africa where the skin alone is elevated and lifted with sutures and a couple of nicks behind the ear. This is less risky with a shorter recovery profile. The skin suture lift is an appropriate procedure for patients who are not yet ready for face-lift surgery or for patients who have had a face-lift and who want to improve the residual loose or drooping areas that remain or have recurred. With this procedure there is no removal of facial skin. The sutures are made of a prolene material and are placed under the skin and left there long term. After a few weeks, the skin is held in its new position by tissue that forms around the stitches. The procedure can be performed under a local anesthetic or a light general anesthetic. It takes approximately 1 hour. Small nicks of approximately 1cm are made in the skin in the crease behind the ear. A long needle with the suture is threaded until it reaches the sagging area that is to be lifted. The suture is then placed in this position and elevated to the ear. Dr Lanzer then ties the suture and it is hidden under the skin. Several serial stitches are used to hold the skin in the desired position. A dissolvable suture is used to close each of the nicks behind the ear. These are removed in 5-7 days or may dissolve themselves. A feature of the suture lift is there will initially be a pleat, fold or wrinkle of excess skin in front of the ear. The fold can easily be covered with one’s hair and usually this fold relaxes and settles in the following months. If it does not settle, laser therapy to tighten the skin may be used or very rarely an excision of the excess skin. Recovery after the suture lift procedure is rapid. Patients can usually return to their regular activities the next day although there may be some bruising and swelling around the ear. Some patients experience some pain behind the ears but painkillers prescribed by Dr Lanzer will help this. This usually settles over a few days. Occasionally the ear pain can be more severe and persist longer. Dr Lanzer recommends the photorejuvenation laser to enhance and lengthen the results of skin suture lift. There is no downtime and should ideally be performed every 2-4 weeks. The suture lift result may last for years, however they will loosen over time. The face may also continue to sag due to the ageing process. There are no guarantees at this stage as to the length of time the result will last. If you are unhappy with the result, the sutures can be removed or be redone with new sutures by Dr Lanzer. With time, the skin may fix long term in an elevated position, however it is best to expect a maintenance treatment. This is less expensive than the first operation. Dr Lanzer used to use the suture lift for a brow lift but has found that sutures do not hold well in this area. Dr Lanzer finds that often when he does blepharoplasty (eye lifting) there is a component of drooping of the brow. It is important in these situations that it is understood that the brow lift will not occur by just removing loose skin on the upper lids. Nevertheless a good result can be obtained with just the laser eye lifting. There are other approaches to obtain a brow lift. A filler such as the man made ones or one’s own fat can be injected under the brow to produce a brow lift. Muscles are also very dynamic around the eyes. 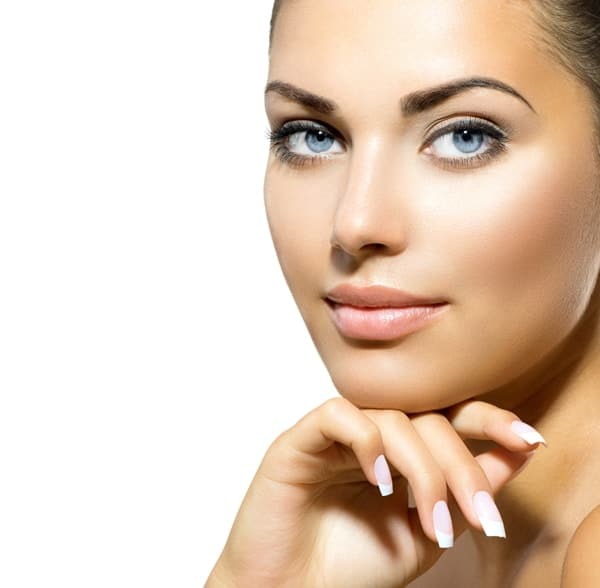 By using a muscle relaxing injection a brow lift can be achieved as well. Finally Dr Lanzer’s cosmetic clinic offers lasers and devices to tighten the skin. The latest therapy that the clinic finds that can help with a lift of the brow is the Ulthera Device. This is a deep ultrasound that causes the deep collagen to contract and is applied above the eyebrow. Dr Lanzer often performs liposuction of the neck to enhance the results of the suture lift. He believes that this combination lengthens the overall result. Dr Lanzer may also recommend laser resurfacing around the eyes and mouth as well as fillers in the lips, cheeks and chin and lastly face muscle relaxants to enhance the result. An increasingly large amount of patients now opt for Suture Lift procedures. Occasionally Dr Lanzer recommends a face volume filler to enhance the result. If you’re looking to remove fat from the face, get a free consultation at Melbourne Suture Lift clinic with Dr Lanzer. Who is the most suitable candidate for the skin suture lift? The best patient is someone with jowls, loose skin around the neck and a general saggy appearance to the skin on the face and neck. If the patient also has lots of wrinkles, non-surgical facial rejuvenation treatment’s can be combined with a skin suture lift for an improved overall result. Often Dr Lanzer will use the Erbium around the mouth and liposuction of the neck at the same time. Could I have eye rejuvenation at the same time as a suture lift? Yes, the best results are achieved when these two procedures are combined. Will there be scarring after? During a skin suture lift, nicks are made behind the ear and they are closed with one suture. Patients usually can return to work very quickly but this varies between patients. The procedure is generally not painful, but the ears may be sore. Do I need to take any medication? Is the Suture Combined with anything? Yes, Dr Lanzer likes to do a liposculpture of the neck together as this gives a good support platform. The Liposuction generally lasts for many years. Sometimes Dr Lanzer does a full-face makeover. Can I do anything to make the result last longer? Yes, Photorejuvenation lasers help to enhance the result and may also increase the longevity of the result. Dr Lanzer uses either the Revlite / Aura combination once a month or a one-off treatment with the Ultherapy device. These help collagen fixation and healing in the dermis. Is the procedure good if a person has had a facelift? Years after a facelift the skin may droop and this can be revised with the suture lift alone. How does one test their skin to see if the suture lift is appropriate? Pushing the sides of the cheeks back towards the ear gives a very good indication of how the results will be immediately after the procedure. If you like the way this looks then the suture lift may be an appropriate procedure for you. Dr Lanzer can email all patients a detailed consent form that provides information related to the surgery. This information is made available to all patients before surgery, allowing enough time for the patient to ask any questions they may have. A facelift procedure involves many things, so patients must be informed about their procedure before they go in for their treatment. At the Dr Lanzer Clinic, you will receive the necessary information during one of your consultations, but you will also find much information about facelift procedures on our website, which you can go through in your own time before you come in for your initial consultation. By reading this information beforehand, you immediately have a good insight into the treatment and any accompanying questions you may have can be answered by the cosmetic surgeon during your initial consultation. Only when the patient fully understands the procedure, can he or she sign the consent form. The results obtained from a facelift procedure are different for each patient, because every patient is unique. However, patients can get a better idea of the aesthetic changes the face may undergo because of the procedure by looking at our before and after photographs. These photographs are taken from patients who had a facelift procedure at the Dr Lanzer Clinic, so it is also a representation of procedures executed by Dr Lanzer. Of course, Dr Lanzer can also tell you more about the results you could obtain from the surgical procedure during one of the consultations.